Josh made some phone calls, and every Tuesday night, between May 2016 and March 2017, rain or shine, with the exception of the periods the band were on tour in Europe, Spain played in a little downtown L.A. speakeasy called The Love Song Bar. Part of the historic Regent Theater, built in 1924, the room oozes old school charm and classic Martinis. “It’s like being in a film noir movie!” says Josh. “One of the things we started doing on tour in Europe was inviting guests to join us on stage. It was fun for us and I think the fans enjoyed it also. No two shows were alike. I took this idea and expanded it to our L.A. residency.” Over the course of the year the key unit of Spain (featuring Haden, lead guitarist Kenny Lyon, keyboardist & guitarist Shon Sullivan, and drummer Danny Frankel) were joined on stage by such groundbreaking musicians as multiple Grammy-nominated jazz guitarist Bill Frisell, Sun Ra drummer Craig Haynes, violinist and singer Petra Haden (Josh’s sister), Best Coast guitarist Bobb Bruno, Circle Jerks alumni multi-instrumentalist Zander Schloss, former Macy Grey saxophonist Matt DeMerritt, violinist extraordinaire Lili Haydn, and many more. “When we were on tour in Europe I was recording all our shows with my portable recording device. I started doing that too with the Love Song shows. My friend, music producer and visual artist Nate Pottker started bringing his gear which enabled the recordings to have a much higher quality sound-wise. I began posting these recordings to the Spain music subscription page (https://spaintheband.bandcamp.com/subscribe), and our European record label Glitterhouse heard one of them and said, ‘We want to put that on vinyl!’”. Next studio album? By all means! 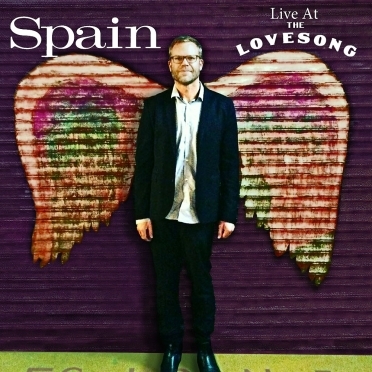 But for now, we present to you, Spain Live at the Love Song!